Believe it or not, I am not the most confident person in the world. Show me one of my photographs and I will point out a dozen things that are wrong with it. Things I need to fix, change, or do-over. I am probably the hardest critic I know. Perfectionism – my nemesissssssss. Boo. Hiss. But it’s the part of “me” I am trying to embrace. After all, it can only make me crazy better, right? 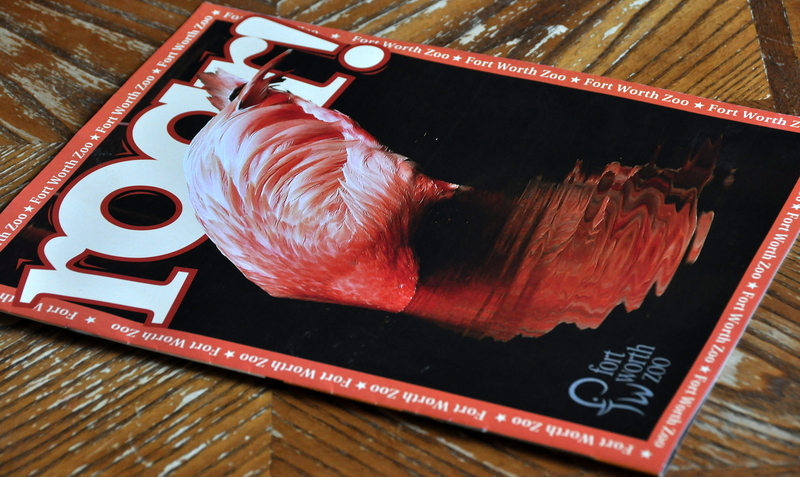 When the Fort Worth Zoo held their photography contest, I entered under the direction of my photography teacher. In fact, all his classes were urged to enter. So we could learn, and grow, and do something that scares us; like have our work be judged by professionals, while we directly compete with one another. And if you are a regular around here, you know I won third place. Winning! 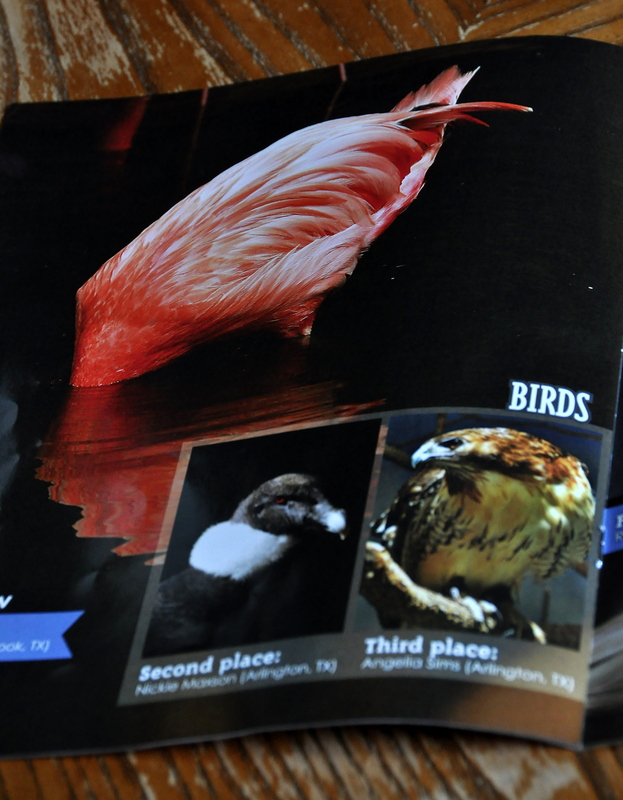 What I didn’t know is that ALL the winners would be featured, not only on their website Fort Wort Zoo, and their Facebook page, but also in their magazine. The day I got it in the mail was the day of extreme excitement. I almost jumped through roof. This is the cover – first place and best in show got the honor. 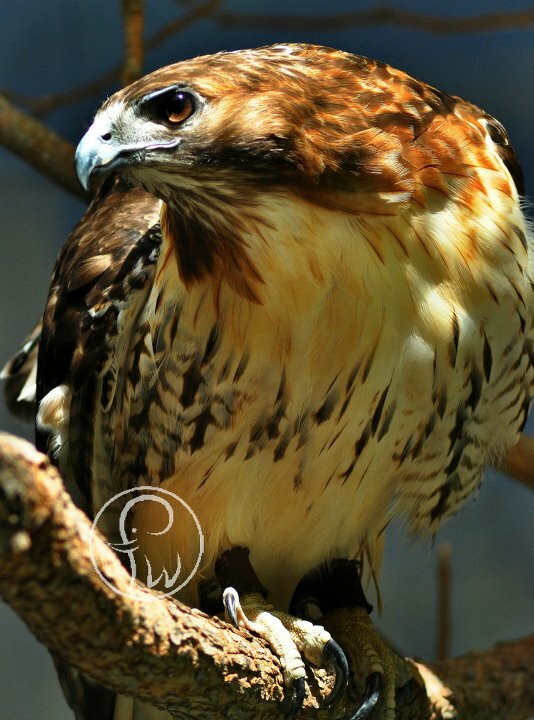 This is the page that hosts the winning bird photographs. That’s me!! I know her! I know her! Actually, I know the second place winner too. My pal Nickie. Out of all the photography students that entered, we were the only two chosen. I just get all excited seeing it again. I know this is probably silly. This is the page that had an excerpt about the contest. It is also the first time that I saw in print how many photo entries were submitted (900!) and that the judges were a panel (how many is in a panel?) of professional photographers. Ahhh! I still can’t believe this happened. I think it took getting the magazine in the mail. Something, I could see and touch – that wasn’t just on a website – that made it really hit home. 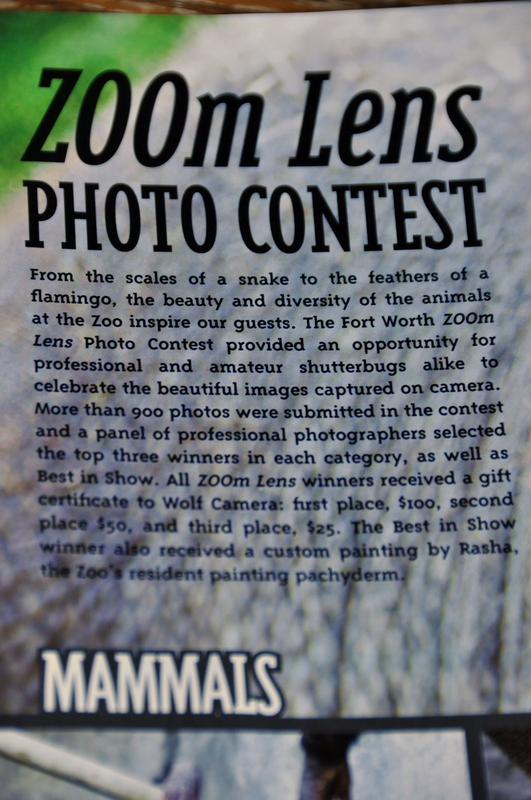 Winning photograph featured with the Fort Worth Zoo logo. I am proud (and surprised) by this accomplishment. I think I won more in spirit than I did in prizes and achievements. Winning! What’s really funny? This whole blogging thing is what got me into photography. Congrats, Angelia, what a great accomplishment! I can imagine how thrilled you are and that you want to jump the whole day. The picture is indeed worth it! Good job and I am very happy for you! WHERE is the LIKE button!!?!?!?!?! That’s so cool!!! Congrats darlin!! I know the delightful feeling. Had my cartoons in 3 mags. Soon all went broke* and ceased publishing. Sheeesh. Congrats!!! That is awesome, it’s nice that you have something to hold onto and show off. Your photos are great! I know that it’s easy to be overly critical of oneself, but you really shouldn’t be. I’m so proud of you! 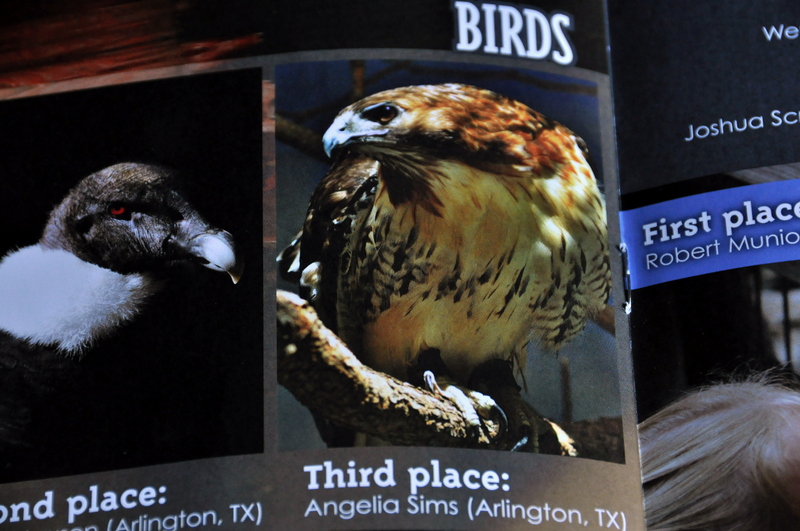 Great photo, Angelia, and kudos for your well-deserved WIN! Congrats Angelia! That’s not just “winning” that is validation! Validation that you are a GREAT photographer. To be chosen out of 900 entrants is AWESOME. You GO girl!!! Oh my! That is sooooo exciting. How fun! How thrilling. How rewarding! There were 900 hundred photographs and yours was one that was picked? WOW!!!!! That is so awesome. That is definitely something to jump through the roof over. Thanks for sharing about the magazine because that really is very exciting!!!!! Congratulations, that’s so exciting! I love your picture. #1 That all their work is brilliant and a great gift to the world. #2 That all their work is sh*t and they are a complete fraud.